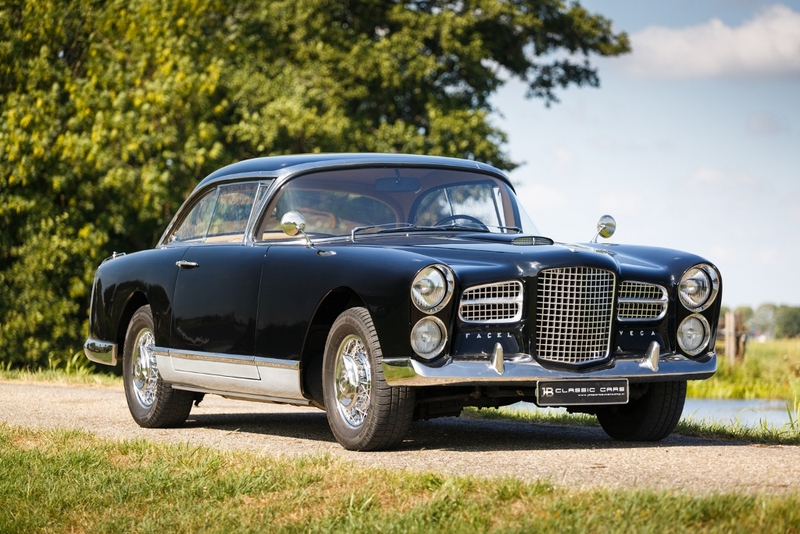 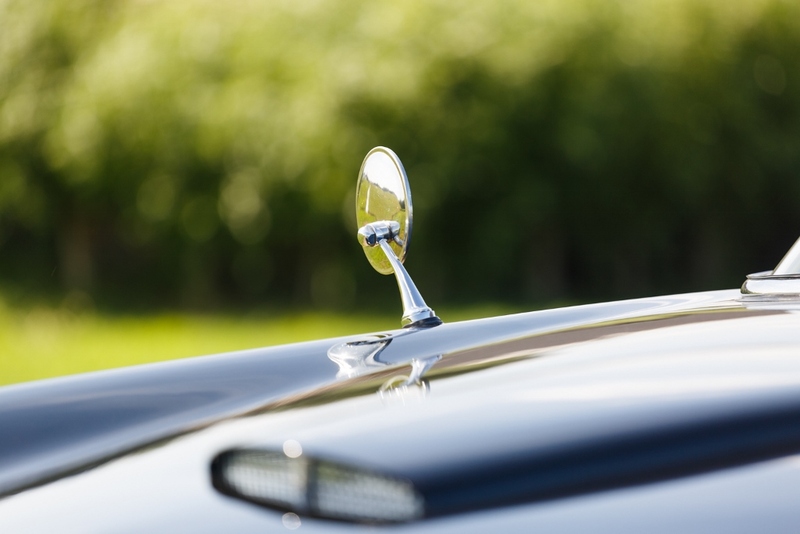 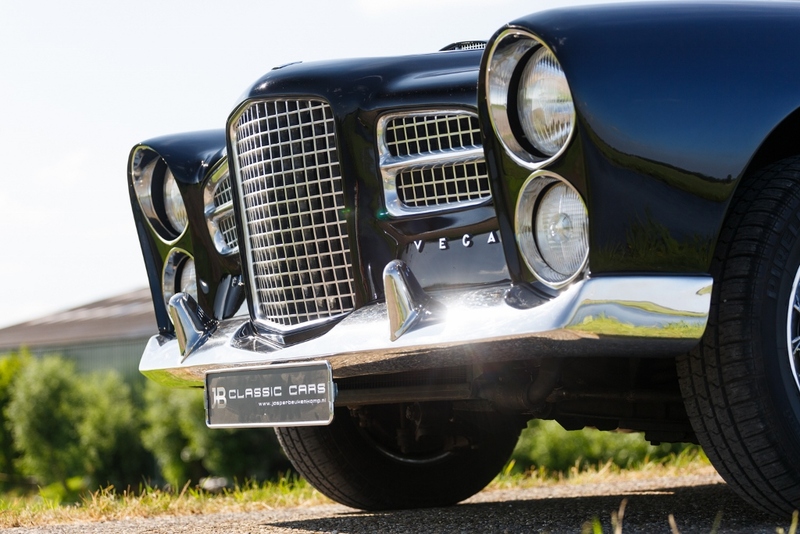 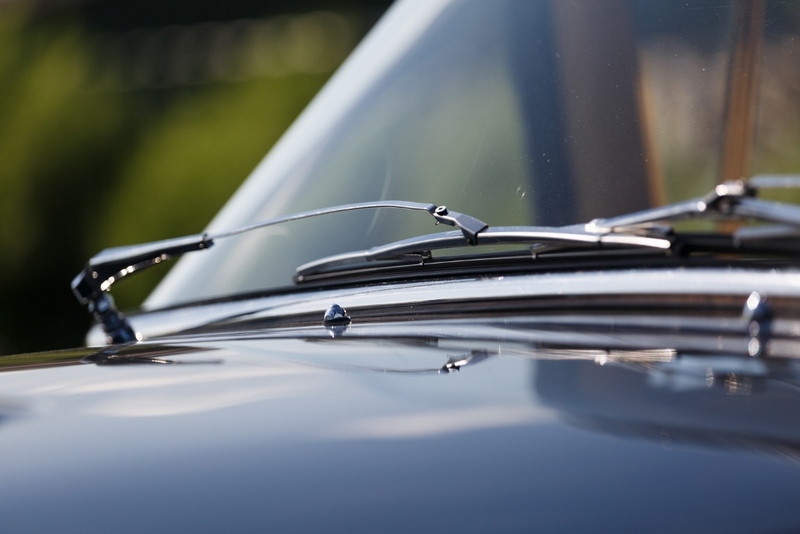 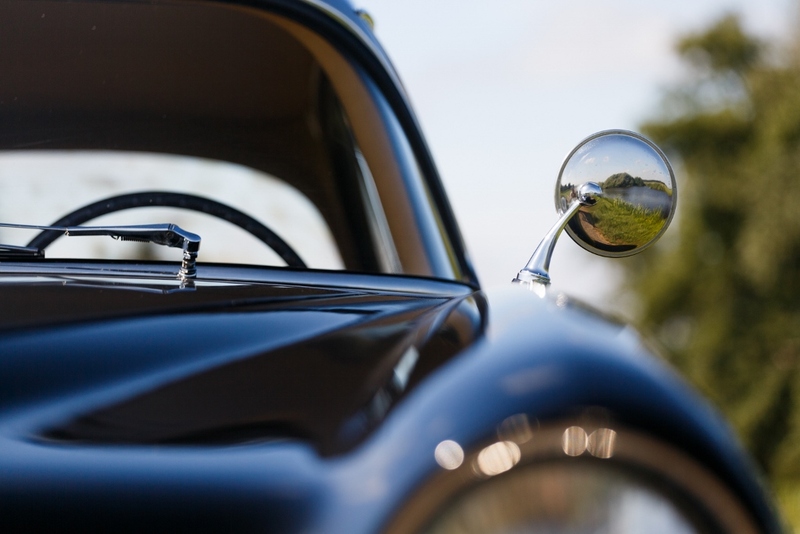 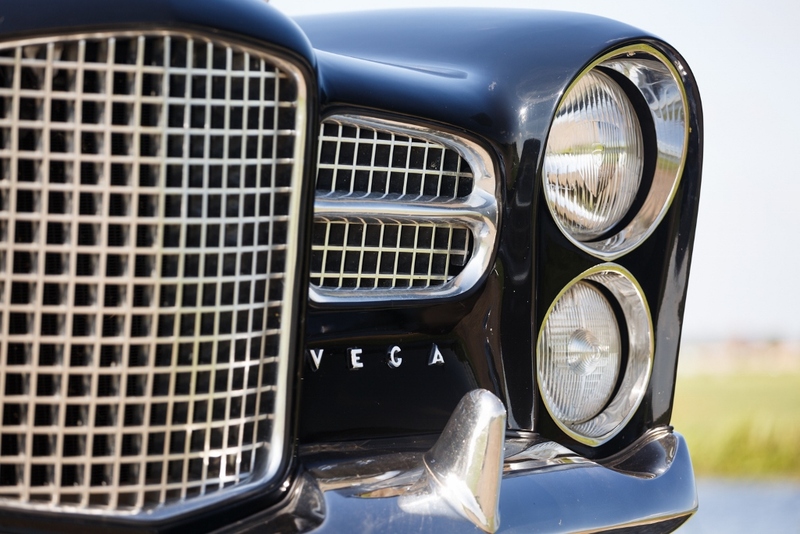 After 60 years of grand touring, this ‘57 Facel Vega FV3 still shines wherever it shows up. 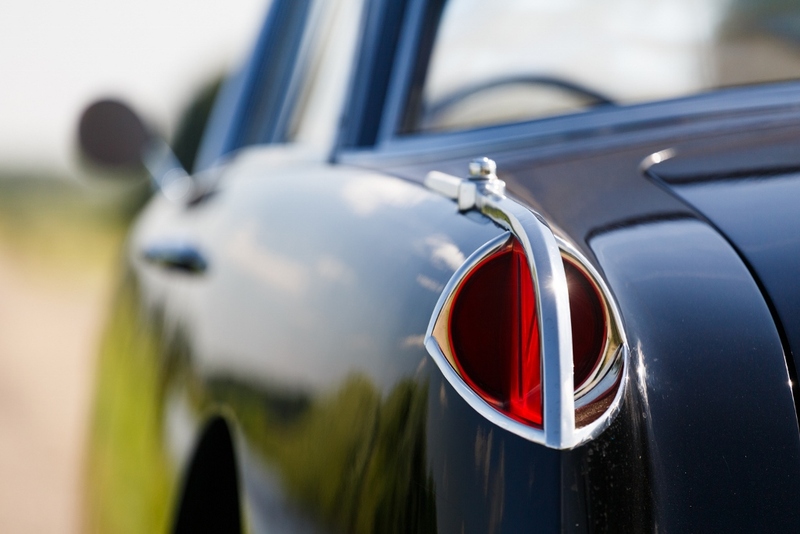 We know this car for many years and we still love its appearance. 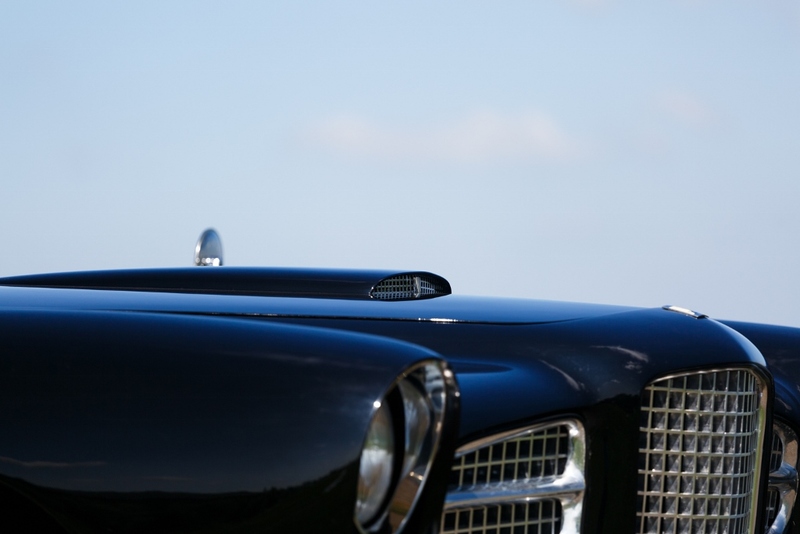 On the outside, the black colour matches perfectly with the polished stainless steel bodytrim and Robergel wire wheels. 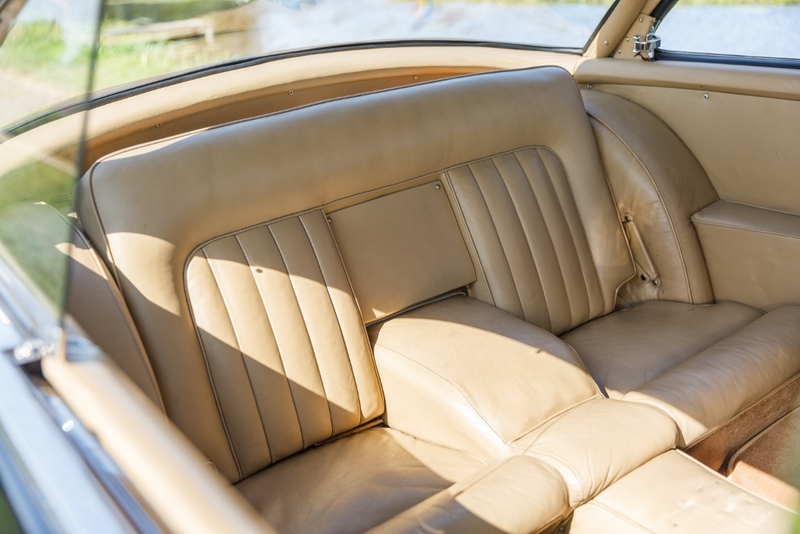 And on the inside it’s the typical Facel Vega interior with a beige Connolly Vamoul Leather upholstery. 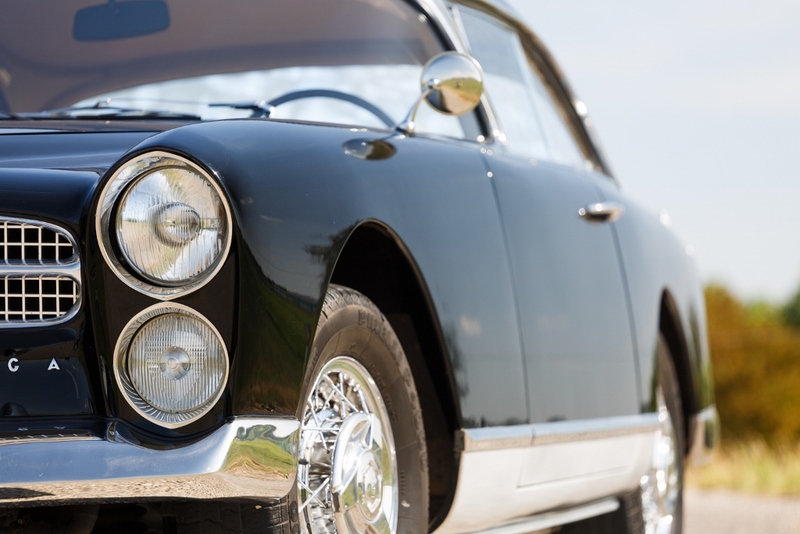 It’s a classic combination of timeless style and exquisite taste. 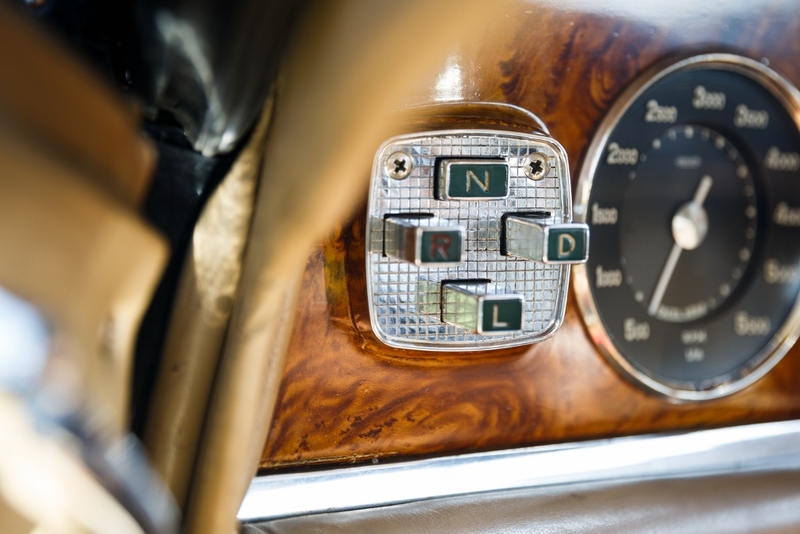 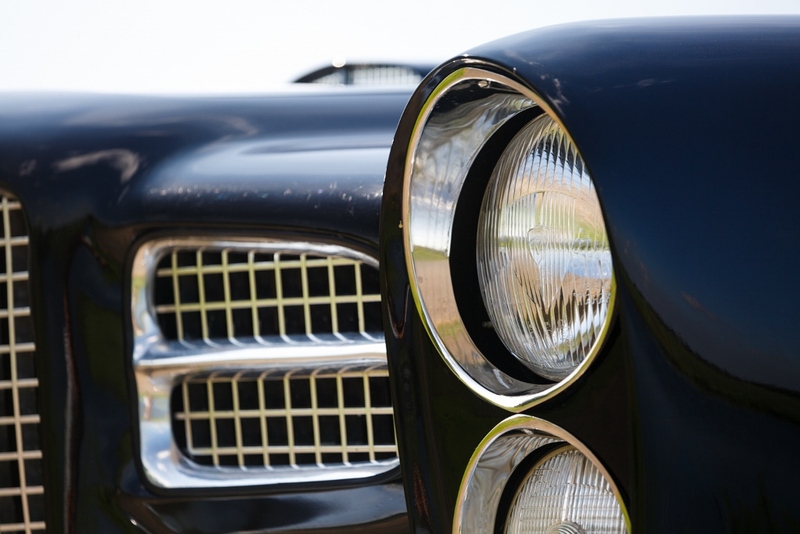 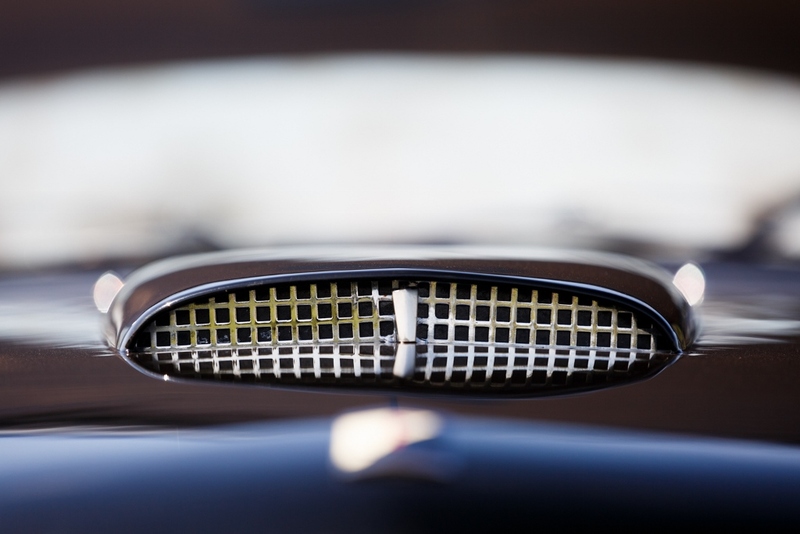 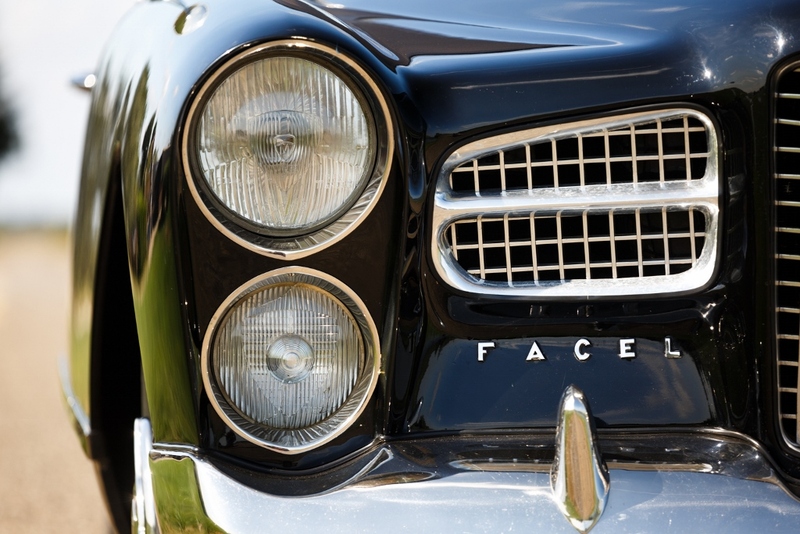 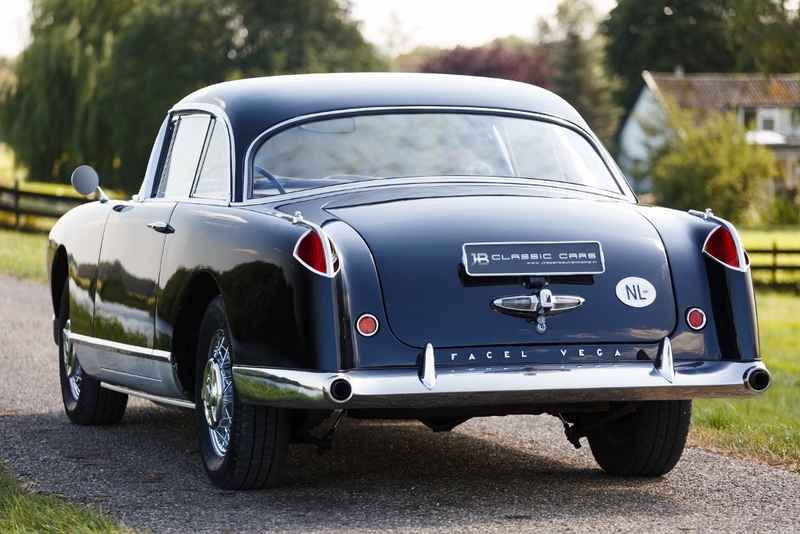 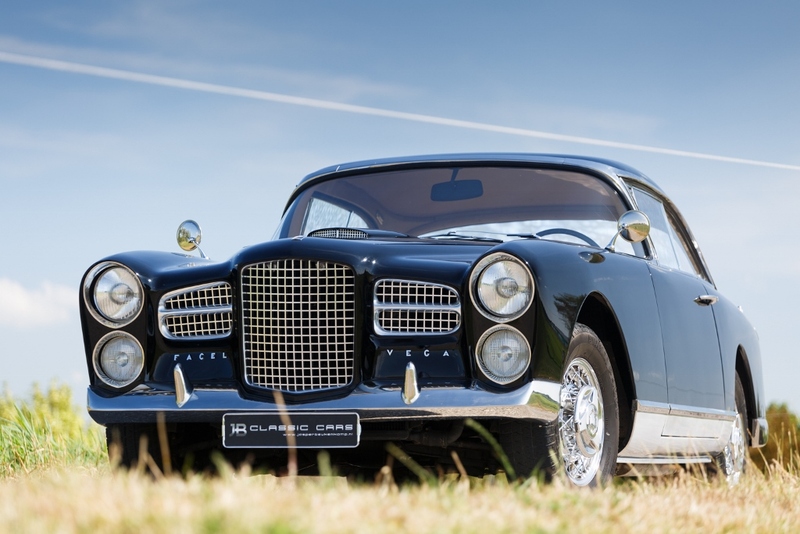 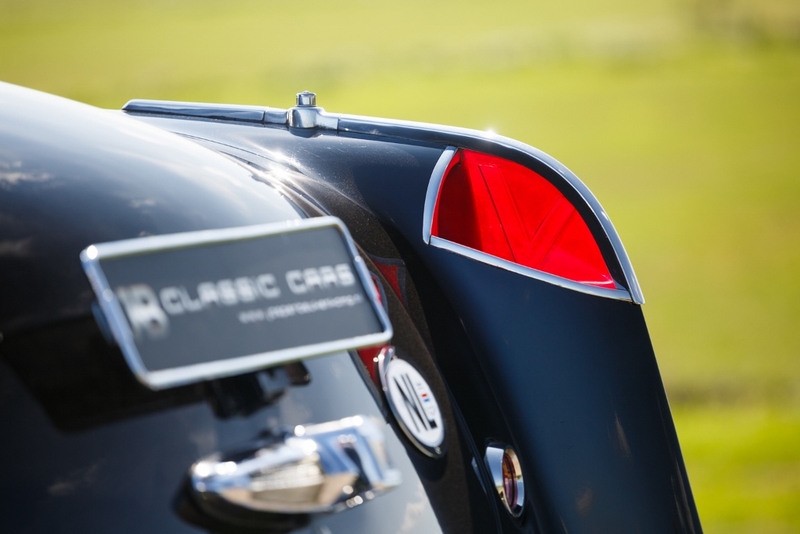 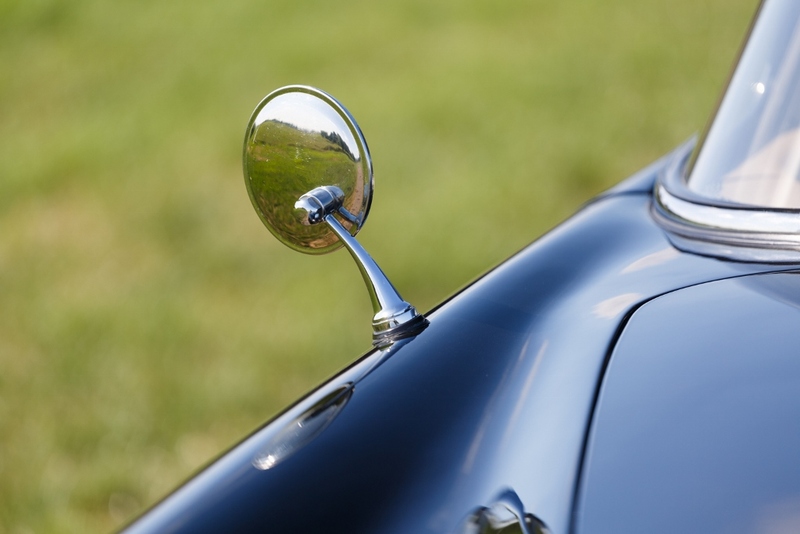 It’s history is known and just like any other Facel it’s very special to drive around at slow and high speeds. 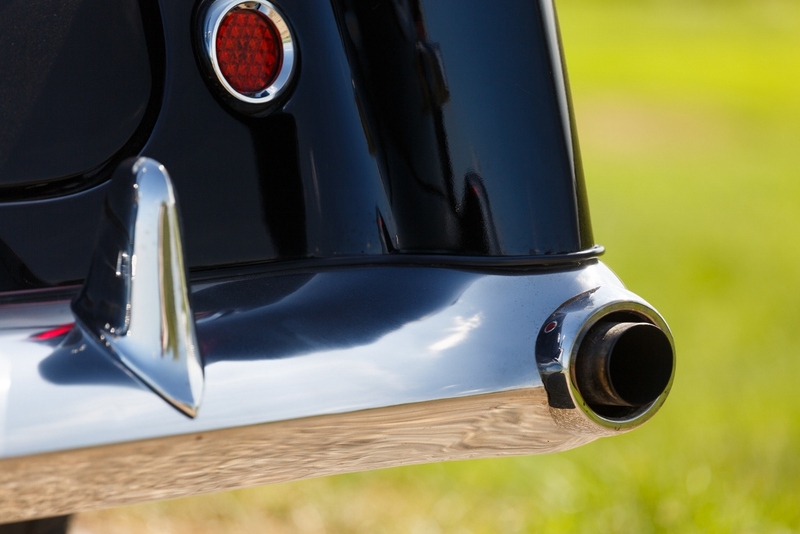 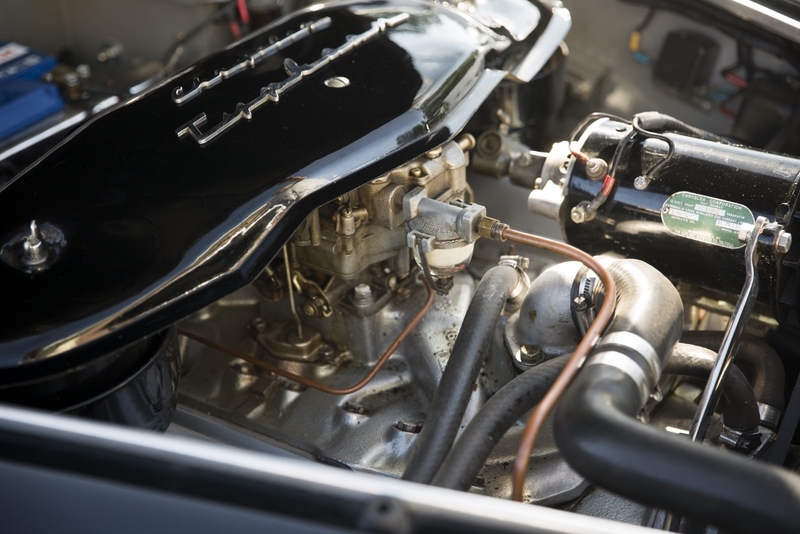 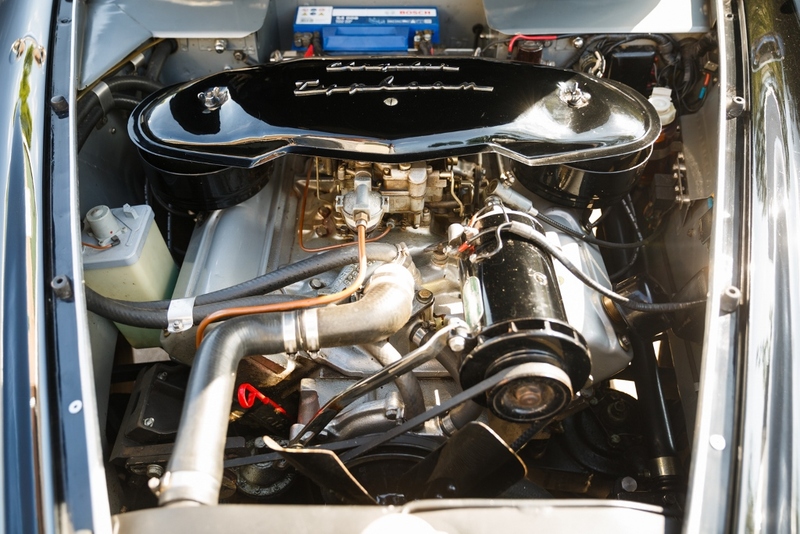 The matching-number Polyspherical V8 with 4.5 litre capacity, four-barrel carburetor and typical ‘Typhoon’ air cleaner sets the FV3 apart from contemporary cars. 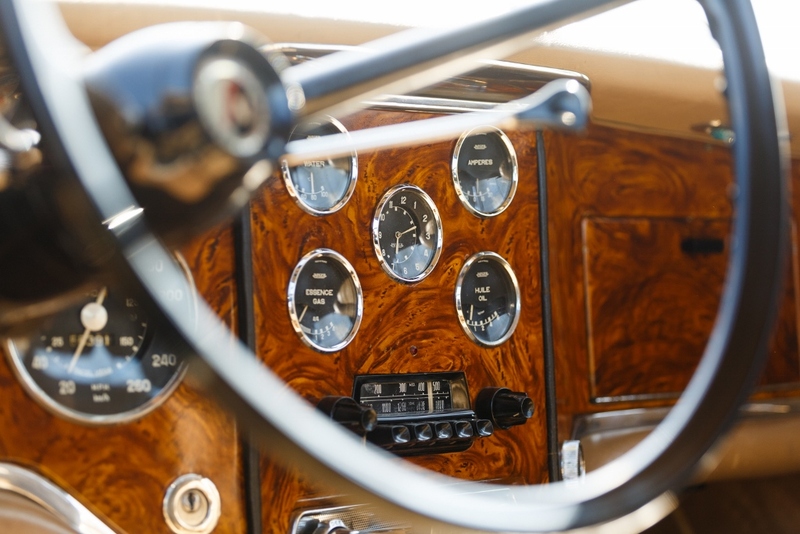 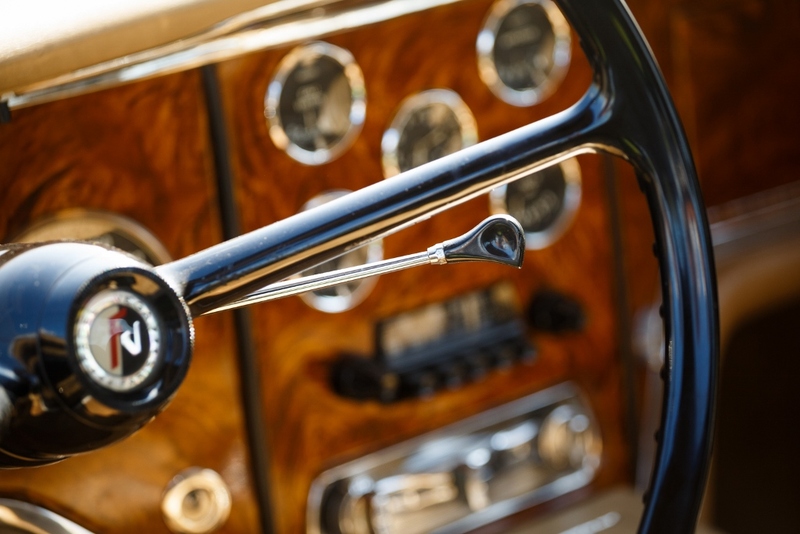 When driving, the thin black steering wheel, the wraparound windshield and the flamed wood look on the steel dash will make you and your passengers feel as special as everyone who’s seeing you passing by. 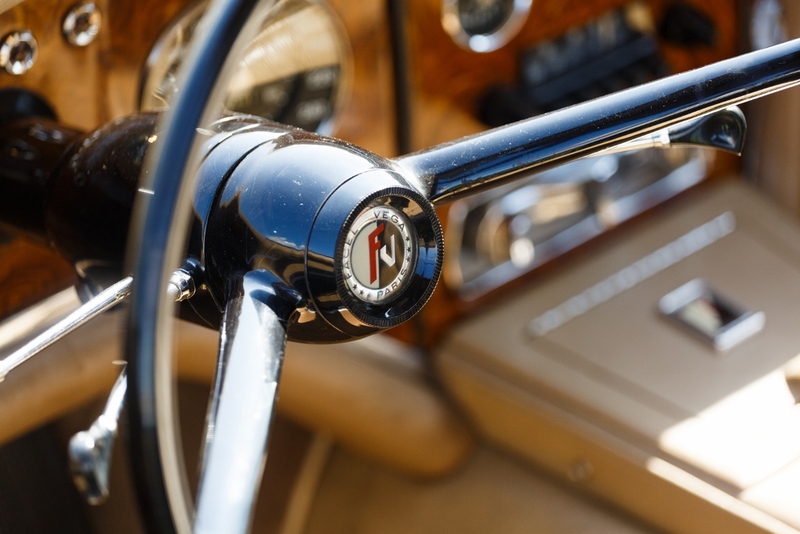 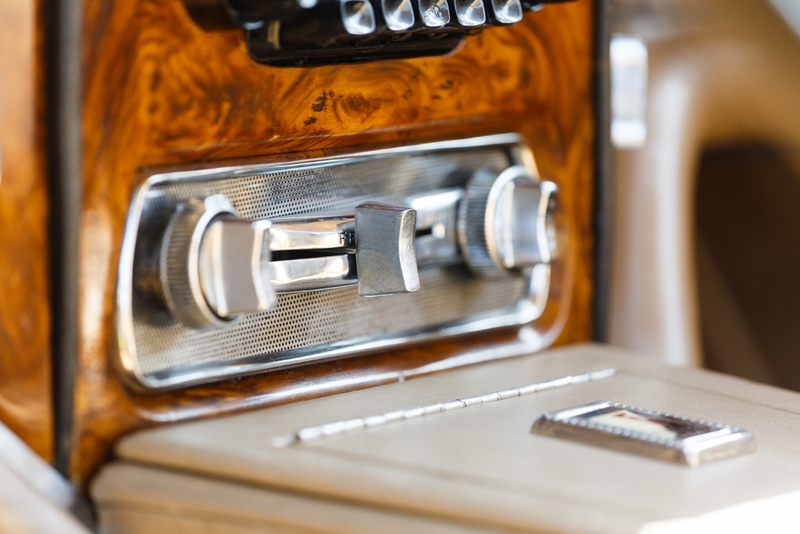 The two-speed Powerflite push-button automatic transmission makes life easy. 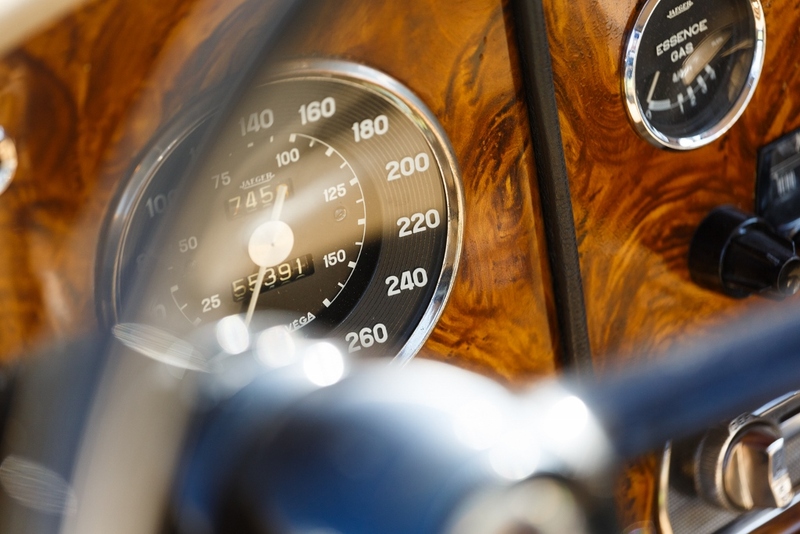 The V8 builds up speed in comfort at any given speed. 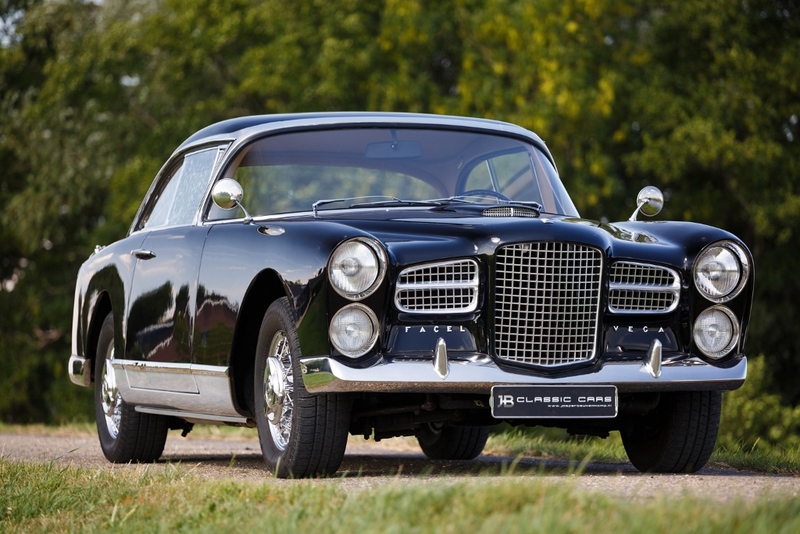 Because all previous owners were all Belgium or Dutch this Facel Vega FV3 is quite a rare car to acquire. 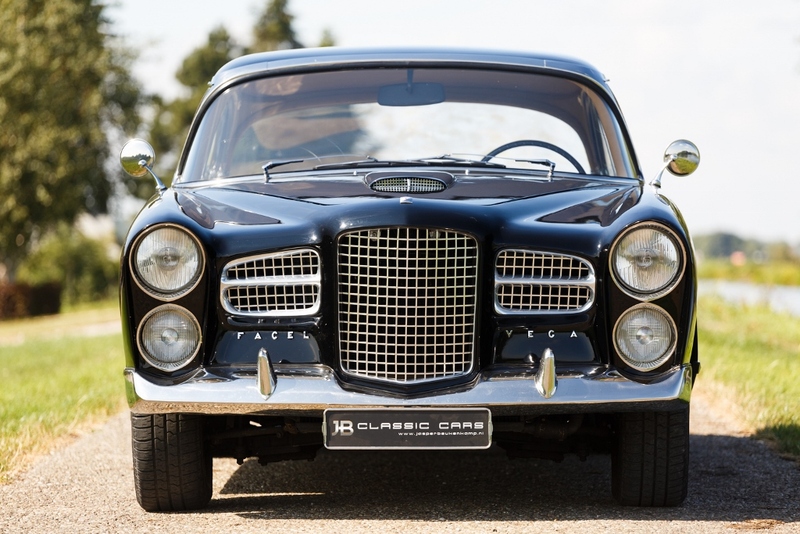 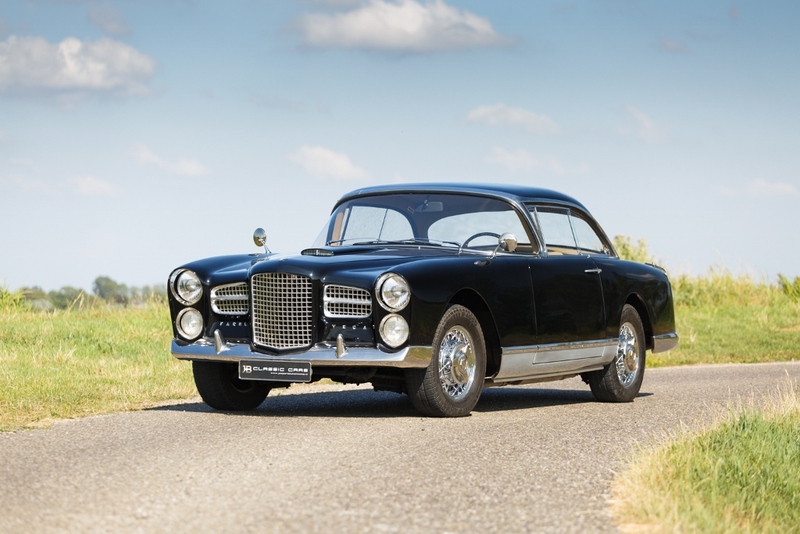 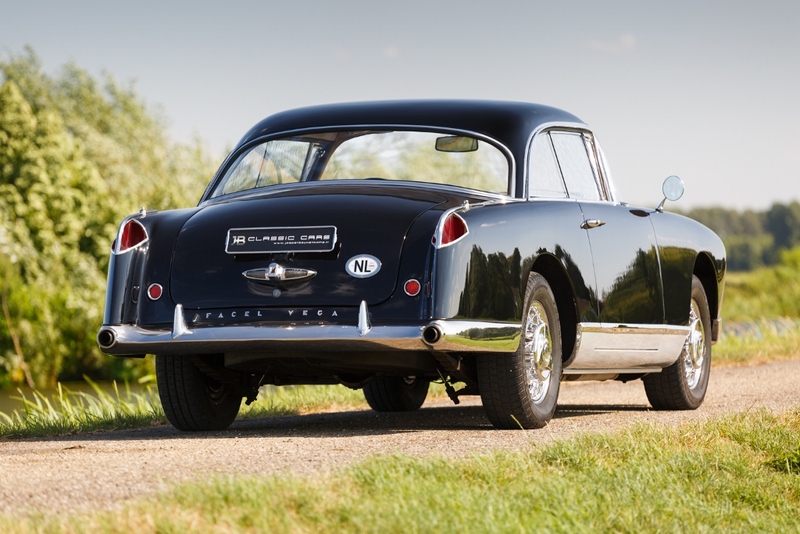 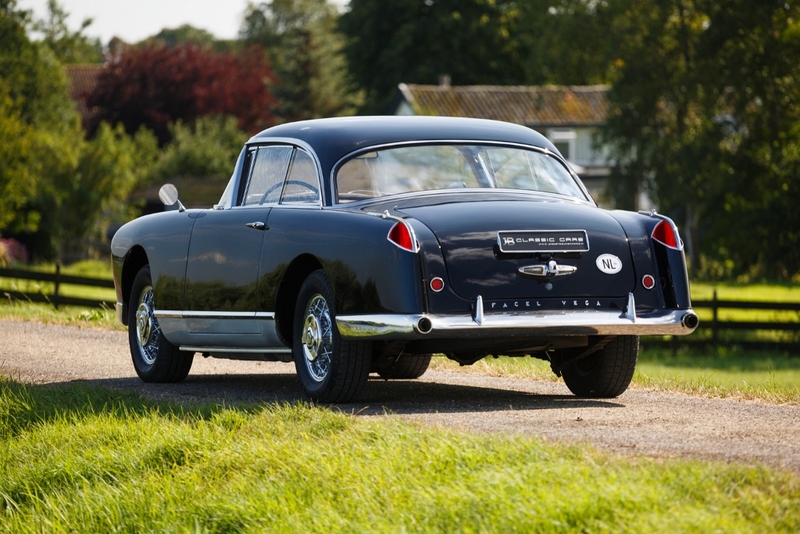 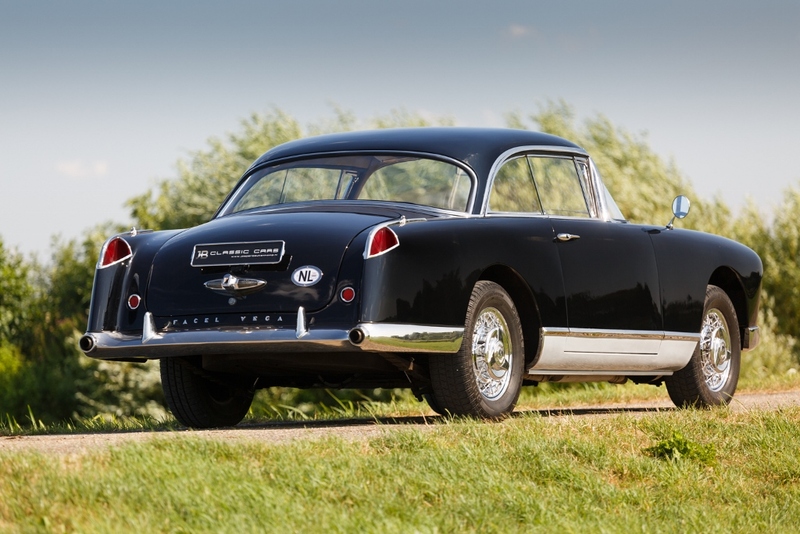 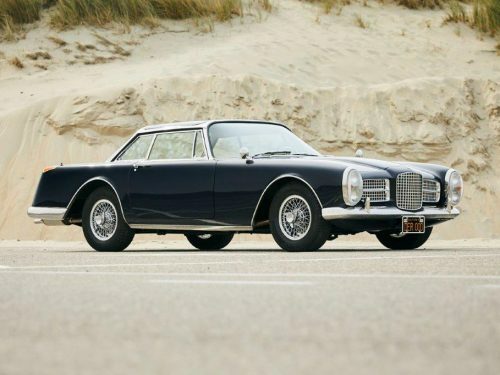 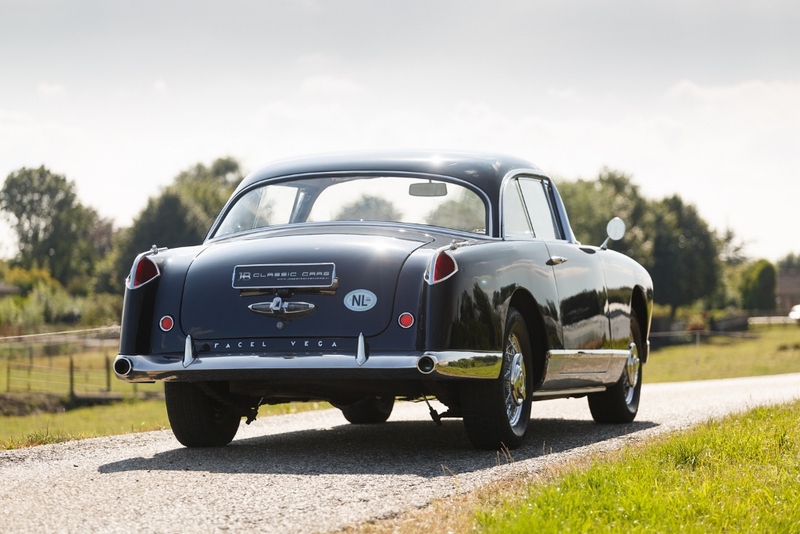 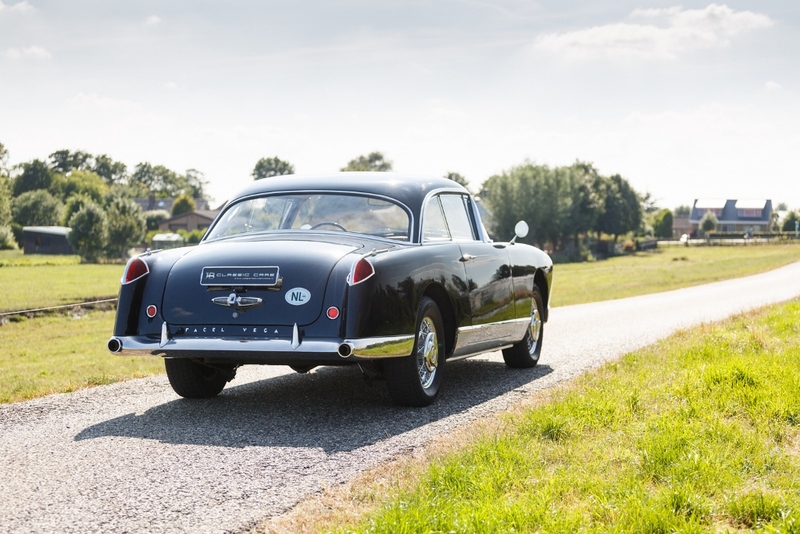 It was originally sold and serviced by the Belgium Facel Vega distributor Beherman-Demoen in Brussels. 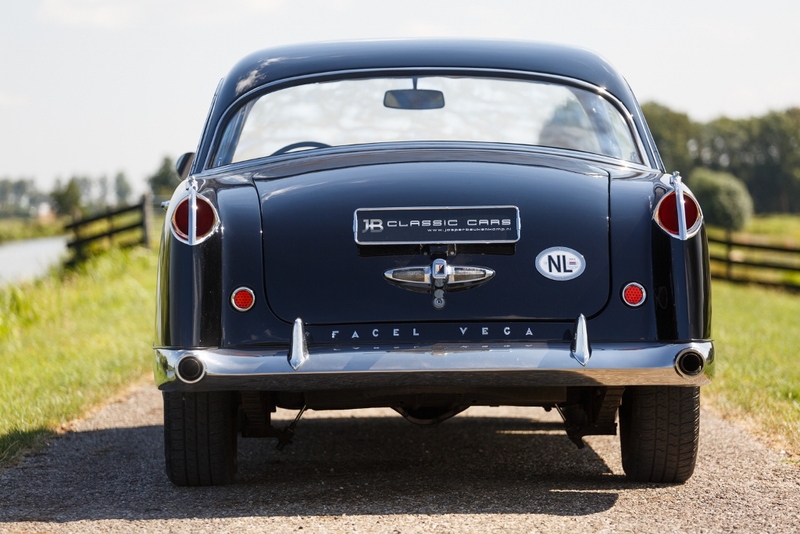 It has been registered in in The Netherlands since the summer of ‘67 and is still on the same license today. 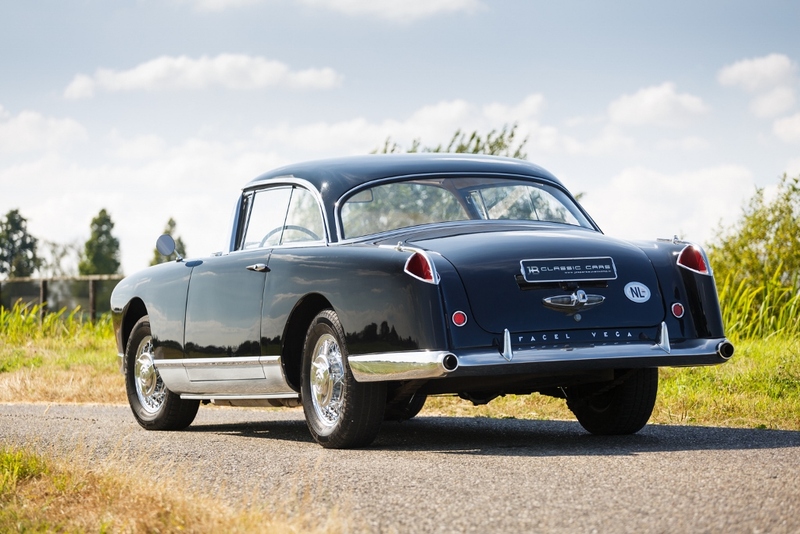 But even the first Dutch owner still went to the Belgium dealer for service and maintenance. 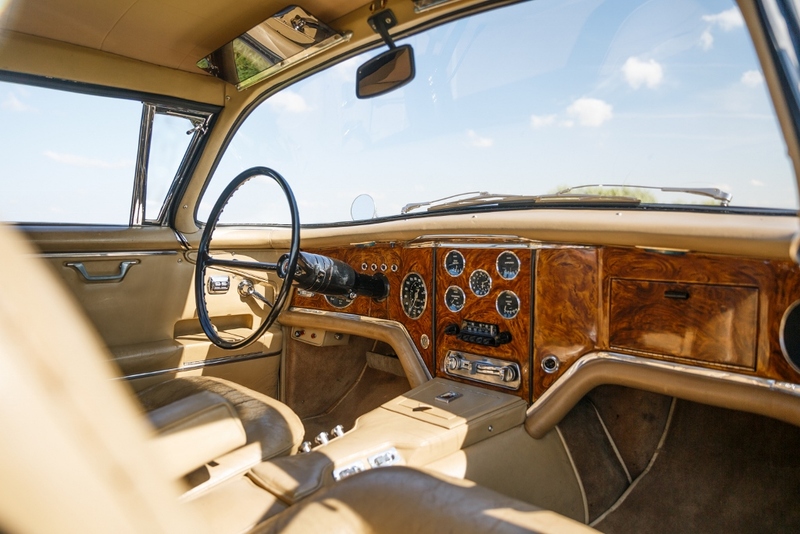 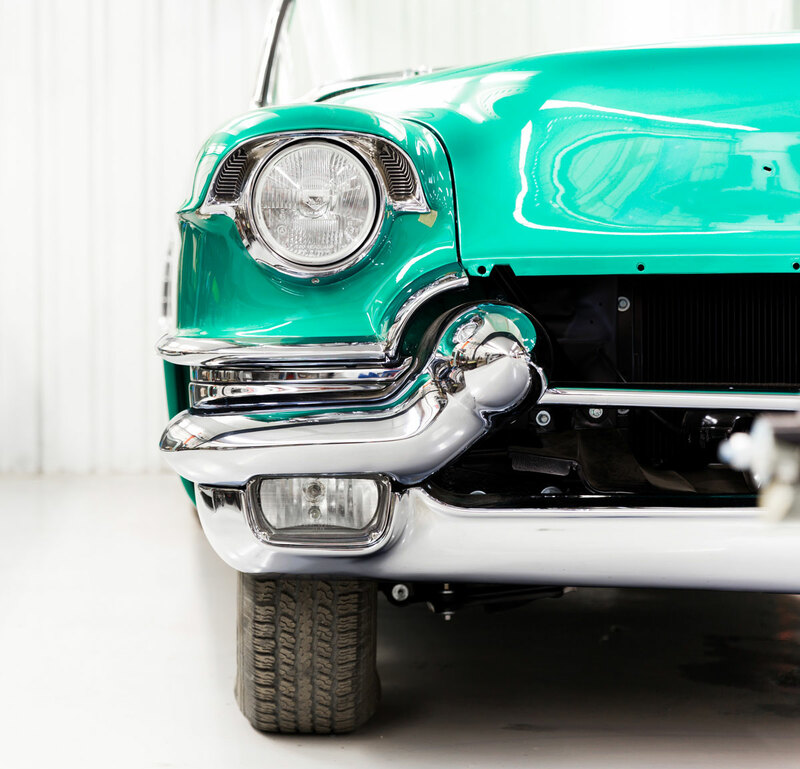 A later owner took the car to Satink for a complete restoration and it was finished in 1990. 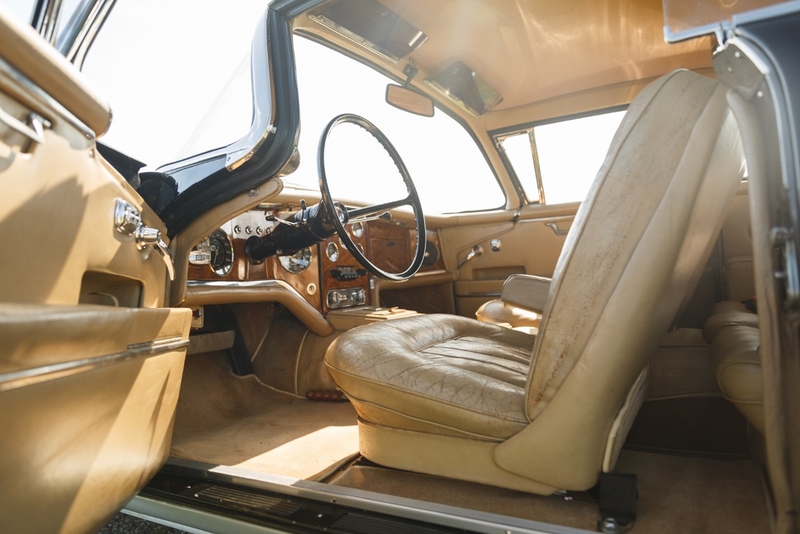 Most of the interior was kept original. 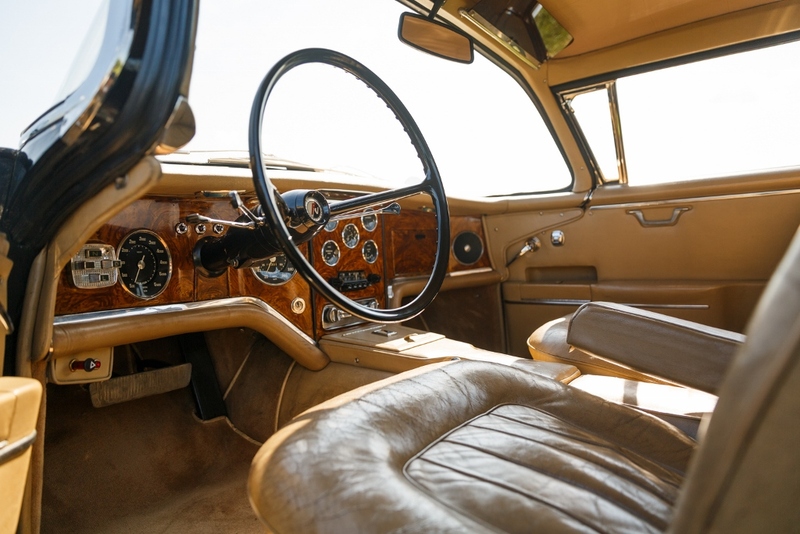 The paint and interior show some perfect patina now and the car is kept in a perfect shape due to dry storage and the lack of driving in bad weather conditions. 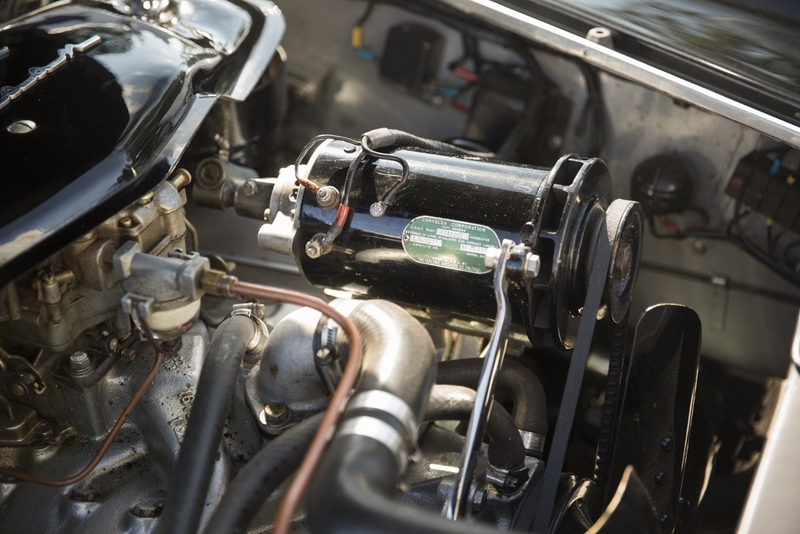 For the last couple of years we’ve serviced the car ourselves and we added EZ-Powersteering to make the car even more usable. 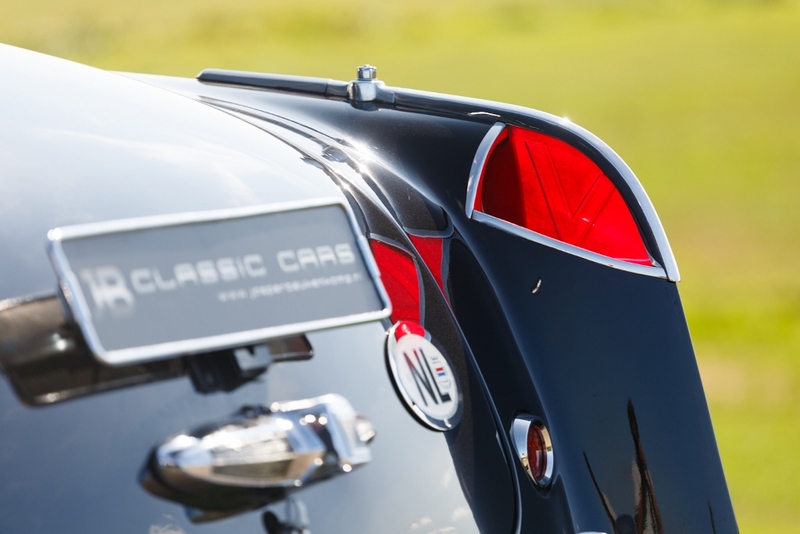 Everything else on the car is still original. 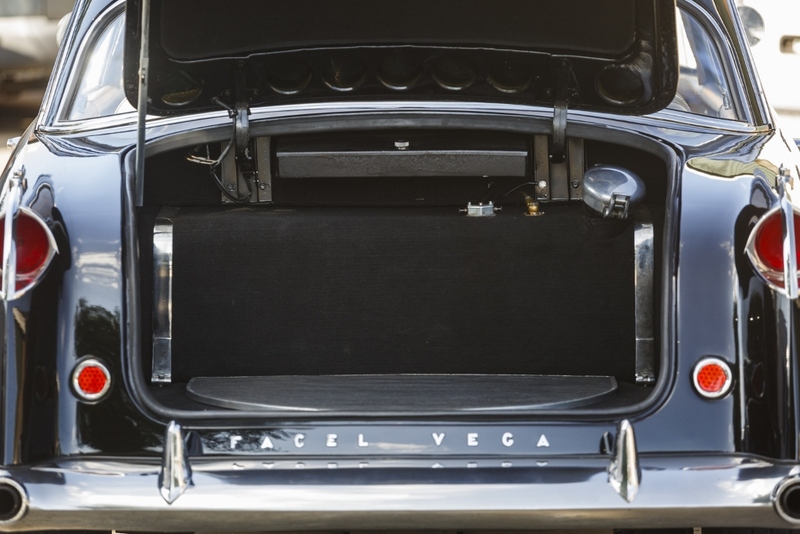 Even the HMV radio and tool kit are there. 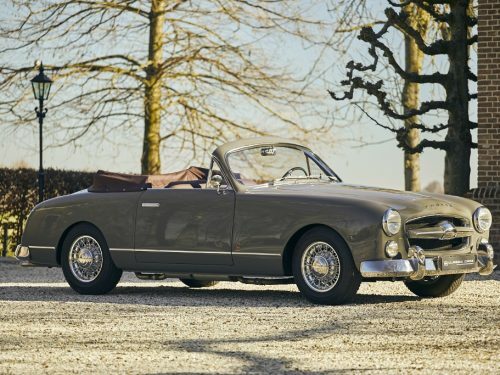 Just around 30 FV3’s are known today and it’s very hard to find a ready-to-run matching number car in the right colour. 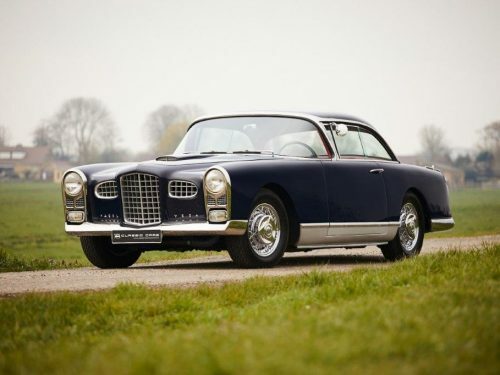 The small body FV3 is Facel’s finest in the opinion of many connoisseurs. 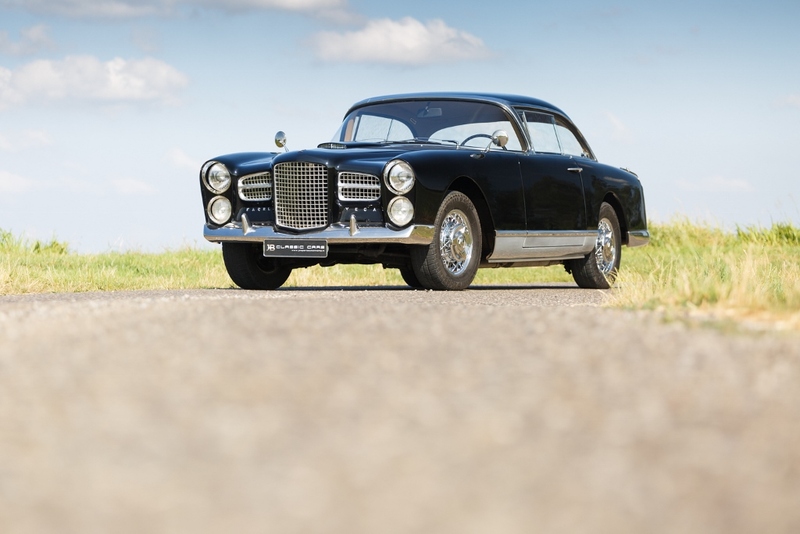 200 horsepower is little for a Facel Vega, but plenty for a classic car to enjoy it on journeys around the continent. 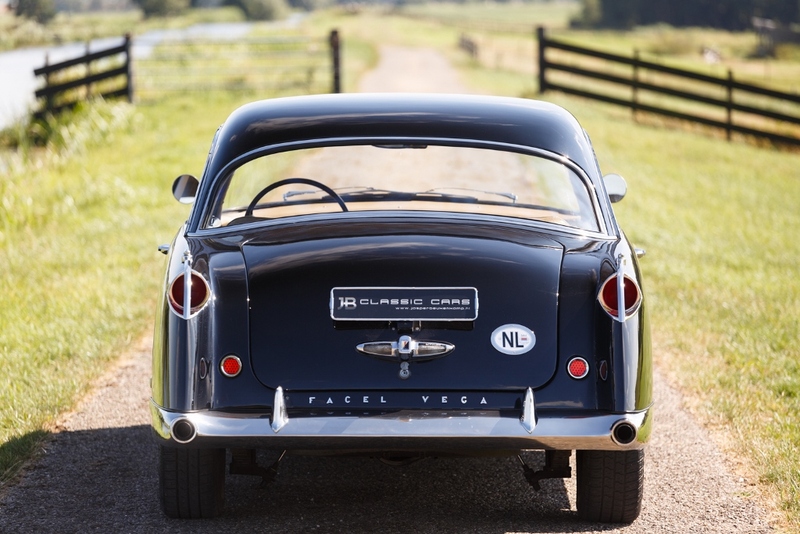 If this is what you’re looking for, then we invite you to our showroom in Bodegraven, The Netherlands, to check the car’s extensive files and pure looks. 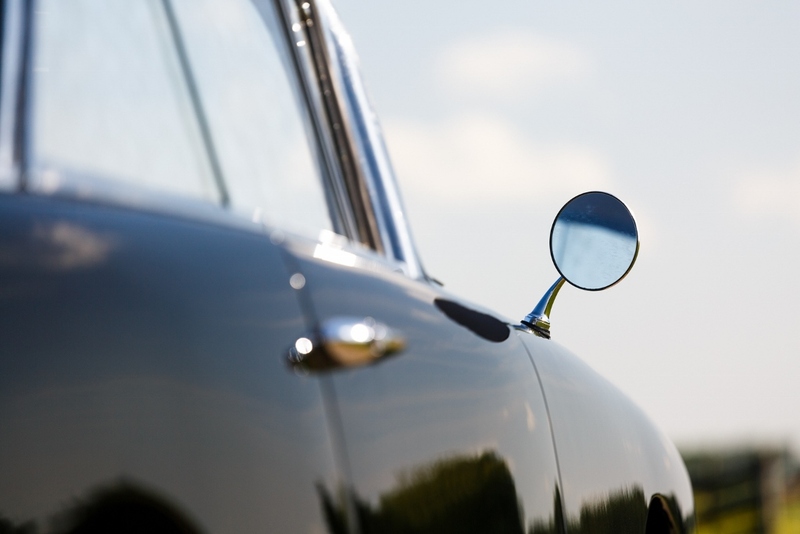 The car is on point, so you can instantly go out and drive.